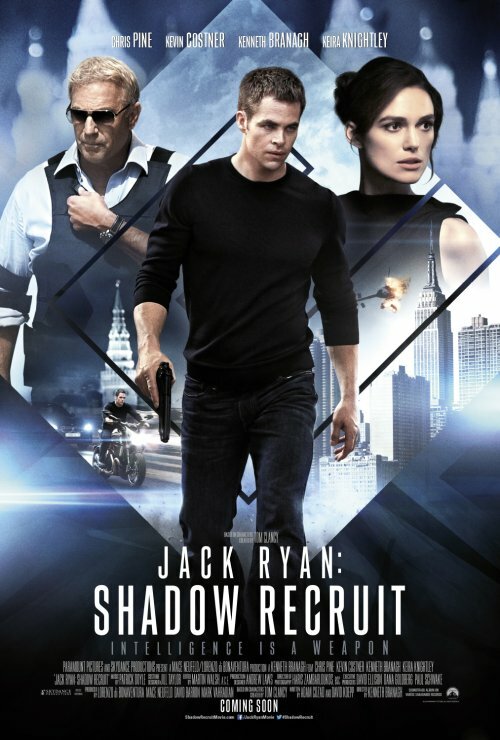 Earlier this week I got sent over the poster for the Jack Ryan reboot, Shadow Recruit. Looking at the below poster made me wonder what they were they thinking about on some of the elements when they designed it. The poster starts out in quite a conventional manner, the 3 “big names” are there in a V formation, Chris Pine, playing the lead role is shown as an action here. That’s a good start to the poster. Quite typical for this genre. 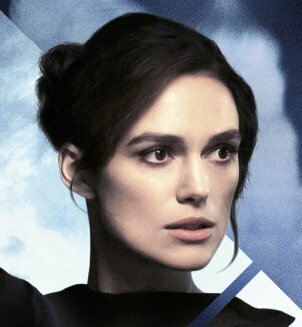 I now give you Exhibit 1, Keira Knightley’s face. The first thing that jumps out is how big her head is on the poster compared to the other tow, who have higher billing! The next is how “pink” and flat her features look. I’m sure she doesn’t look like that normally, even with make-up on. It does seem that someone has been burning the photoshop for a good time polishing Keira’s face to something that, almost, looks like her. Just head over to Google to see what I mean. This is a bit of a confusing image as the synopsis, below, indicates that it happens in Moscow and not, as the piece shows, somewhere in Manhattan. 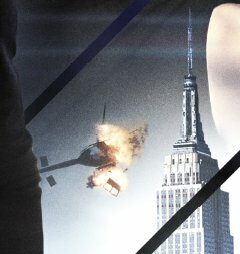 Hopefully it makes sense as it’ll be some reason of plot that people have shot down a helicopter. 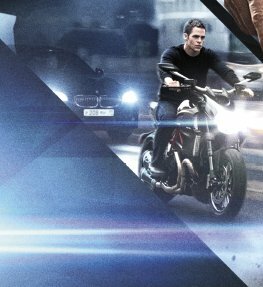 More of a cliché hitting the poster now with a shot of Chris Pine on a motorbike speeding across, what looks like, Moscow. I thought “Great, a new Jack Ryan film“. But all it seems to be is a re-boot of the series that ignores all of the previous history of the character. What made me realise that is what it says on the poster just above the title. If you can’t read it it says “Based on characters created by Tom Clancy“. So the only similarity between the previous films, book and other things that involve Jack Ryan is the name.